Labels. Labels we are given, and ones we take on and allow to define us. For young people who are involved in juvenile justice, and for many who become MST clients, labels can get in the way of success. Maybe they are marked as “bad kids” because they are on probation or parole. Maybe it’s a mental health diagnosis or a learning disability that is allowed to become their label. Some kids are remembered for a crime they committed or by the reputation their families have in the community. Thankfully, we don’t live in the 17th century and have to literally wear a scarlet letter stitched across our clothing. Being put into a category can still be incredibly damaging and difficult to overcome. In particular, when we internalize it. I had labels as a child. The daughter of two college professors with Ph.D.’s, I was diagnosed with attention deficit hyperactive disorder. This meant special education for me. Though my parents never allowed the label “special ed” to define me, I always felt less for it and a little broken. Trying to live up to some standard that I thought others expected and never quite measuring up to it. While I believe wholeheartedly that it was important for me to have the right diagnosis and best support, those things alone did little to help my self-confidence. I was functioning well, but embarrassed by the label. It took finding a school that saw me not for a diagnosis, but for who I was, and teachers and classmates who focused on my strengths to cause a turnaround. Then, I became motivated because of my “label.” Motivated to see how well I could do and what I could accomplish. It might be the reason I am who I am today, and it is most definitely one of the reasons I became a Multisystemic Therapy (MST) therapist. This was a treatment model I could get behind—in many ways because Principle 2 was a part of my own story. I have come to see the practice of being strength focused as the “antidote” for fighting the detrimental effects of a label. There are many examples of how MST clinicians do this every day. It happens when an angry and aggressive kid starts volunteering with animals, his passion, and channels that energy into rehabilitating dogs who have been abused. It happens when a mom who has always felt she is nothing more than “a druggie” and “a failure” uses her strong relationships with the parents of her child’s peers to get her daughter to come home on time and stay off the streets. It happens every day in my line of work. 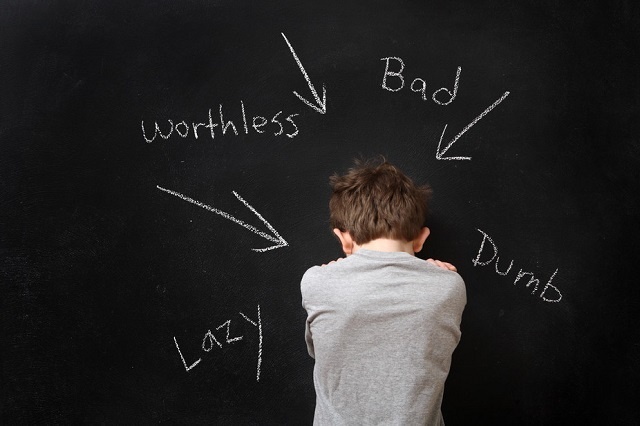 A therapist completes an assessment of strengths and needs, and uses the strengths as the “lens,” looking at a young person and his or her family for what they can do and not as the labels they might have been given, finding a way to use those strengths to motivate the changes that they need to accomplish their goals. We all feel imperfect in some way. Most of us have been judged or unfairly stigmatized. It easy to see how this approach makes a difference for kids who feel like a label has defined their pasts and deep down probably fear it will define their future. It’s been said that labels only make smaller boundaries for people. I’m proud to be in the business of seeing people for their limitless possibilities. To learn more about how Multisystemic Therapy in an effective treatment program for at-risk youth, download this white paper.